Last year I made a gingerbread roll cake and few weeks ago I made a pumpkin roll cake. I wanted to make a new one for this Christmas but I wasn’t sure what flavor to pick until I found the red & green batter bits. I knew right then I wanted a simple vanilla cake filled with creamy buttercream with lots and lots of Christmas sprinkles. If you’ve never made a roll cake, it’s time to change that. 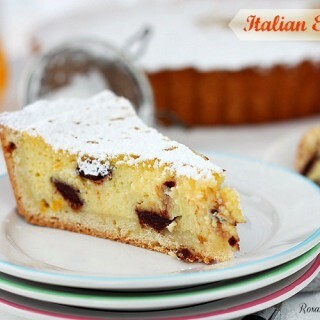 You should not be afraid, just follow few simple steps and in no time you’ll have the most beautiful swirl cake. The secret to roll cakes is beating the egg yolks until light yellow and thickened. That should take around 3 minutes on high-speed or around 5 on medium speed. Tips for perfect roll cakes every single time! The secret to the creamy buttercream is to whip the butter first before adding the powder sugar to it and whip on medium speed for 2 minutes once all the sugar is incorporated. Doing so, you’ll have a light buttercream way better than the store-bought ones. I ma not sure if this one is for me, but I surly love the way it looks. so tasty so pretty so festive!!! This cake roll looks amazing :) Looks yummy and elegant. 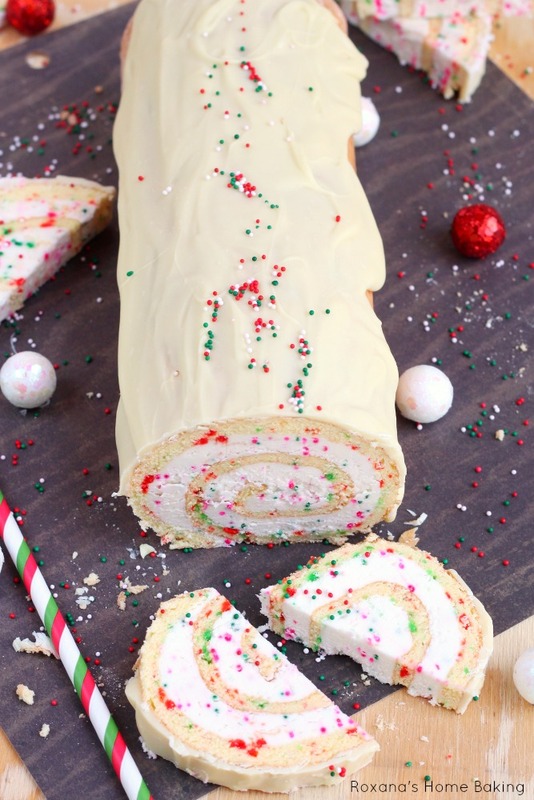 This vanilla cake roll looks perfect! I have never tried a cake roll but they look so insane! This looks so good, love white cake! 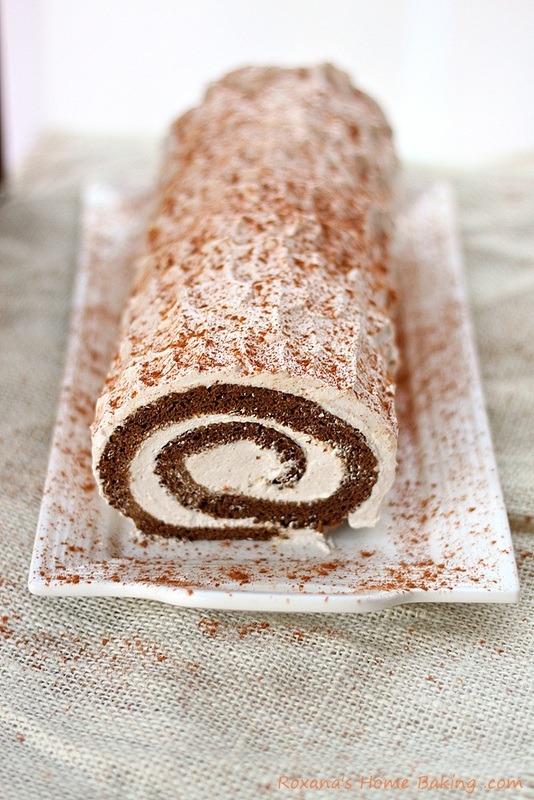 May have to try the gingerbread cake roll too! 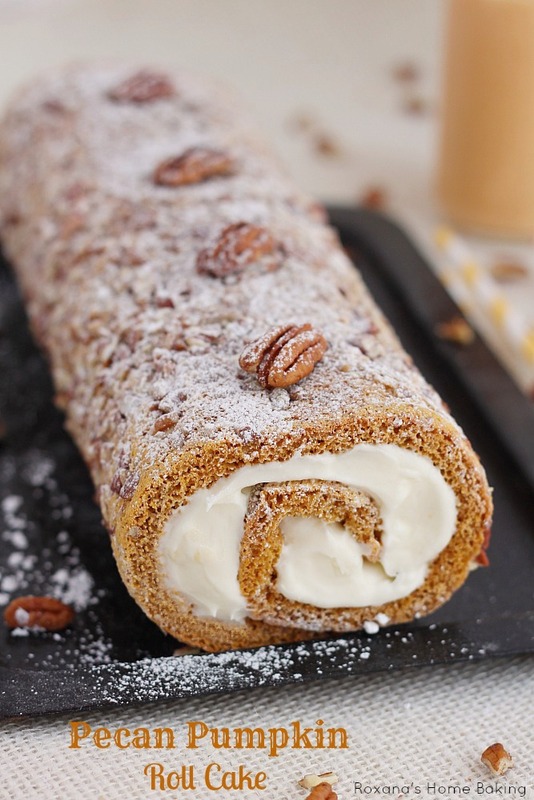 Thank for sharing the recipe...... will try to make this yummy cake roll. 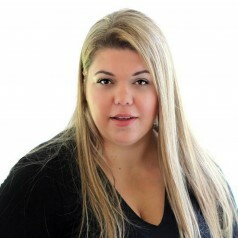 This is simply gorgeous Roxanna! I'm so used to seeing the traditional chocolate roll. This is such a nice change! Where do you find the recipe for the Christmas vanilla roll cake? I don't see a link. Could you send it to me? Hi Teri, the recipe is shown at the bottom of the page. The batter bits look like the colored nonpareils that I use in baking. Am I wrong? I use waxed paper or parchment paper to roll the cake. Hi Chris, to roll the cake, one baked it's best to use a clean tea towel. Make sure the towel lis covered with powder sugar so the cake doesn't stick to it. When the directions say, "roll up the cake with the towel," does that mean the towel stays with the cake roll? Or are you using the towel to roll up the cake? I have never made a cake roll and wanted to try it but being a retired English teacher...well, you understand. lol Thanks for sharing this recipe! Hi Cynthia, Yes, You roll the cake with the towel. Also, make sure you cover the towel with powder sugar, otherwise the cake sticks to the towel and you won't be able to unroll it in one piece. I don't use a towel. I use wax paper and sprinkle powdered sugar on the wax paper. This looks so yummy. Could you tell me what red and green baking bites are? Is it what you decorate sugar cookies with? Or is it mini M&Ms? 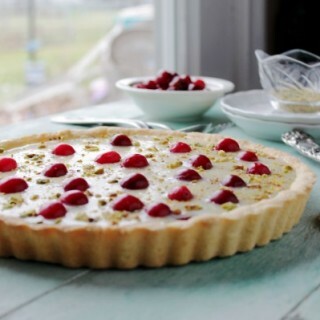 I am wanting to make this but I can't find the batter bits anywhere. Does anyone have any suggestions on anything else that could be used? Thanks for the tip about confetti, Deanna! What are baking bites I have never heard of them before? Hi Linda, If you only have a hand mixer, check to see if it comes with different attachments. My hand mixer comes with hooks for dough, paddles for batters and a whisk. If you have one like mine, you can still use it, just beat the egg yolks for more than 3 minutes. Beat them until thickened and pale in color. I cant say if the plain hand mixer will work for this recipe. But in the past when recipes call for fancy attachments I have used my own normal mixer and have had everything come out just fine. Seriously one of my most favorite Christmas treats :) And yours is adorable! Roll cakes are definitely fun and so pretty! Never heard of batter bits before and they definitely make your cake look festive for Christmas. Thank you for sharing, Roxy! This is probably a totally blonde question... especially from a redhead, lol... but is that 2 whole eggs PLUS 3 egg yolks... or 2 whole eggs and an extra egg yolk without the eggwhite? 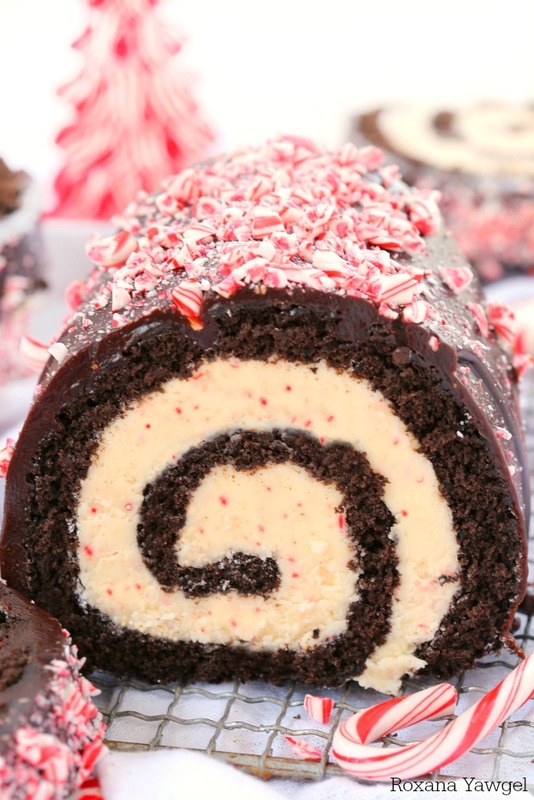 I think this year I am going to tackle a cake roll this year. They are so pretty. I love the festive sprinkles. I'm pretty sure you can! This cake looks fantastic. I am definitely going to have to make this cake. Do you roll this from the long side or the short? Hi Barbara I roll the cake on the long side, this way it’s not too thick when filled with cream. This is so pretty and perfect for the holidays! Thanks for linking up with What's Cookin' Wednesday! Definitely going to make this! Please tell me if you roll the short side or the long side ? Thank you! Hi Dolly, I roll the cake on the long side, this way it's not too thick when filled with cream. So pretty Roxana, I do love how a cake roll looks, they are yummy to eat as well. Your vanilla version is just as tantalizing as a chocolate one would be to me. Looks great, I've seen the pumpkin roll this past Thanksgiving and this one looks even better. So regarding one of the above questions, after you unroll the cake and frost it, you leave the towel out and roll up the cake by hand? Hi Carla, Once you frost the cake you roll it with your hands, leaving the towel out. 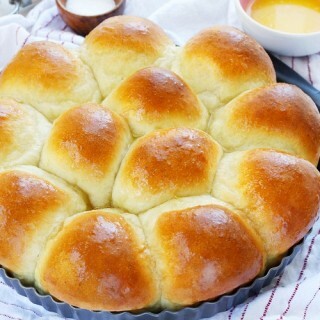 Can't wait to try this roll cake!!! Why does it say 3 hours for the total time? 15 minutes plus 7 minutes is 22 minutes. I'm just curious. Can't wait to make this. It looks delicious!!!! Hi Brittany, You need to let the cake cool before adding the buttercream to it, plus chill it for a while before slicing. If you take that time in consideration, you end up with 3 or more hours. This looks fabulous and so festive Roxana! Could you use cream cheese icing? Did I miss if you mentioned using salted or unsalted butter? When you ate the cake roll, did the little bits soften up at all or werethey crunchy? It is a stunning cake. Will definitely make. Woops.....forget the question. I just noticed there is NO SALT in the recipe. woops. Hi Annabelle, I rarely use salted butter in my recipes. The colored bits pretty much melt, they are not crunchy or anything. Yes, there's no salt needed to make this cake. I usually add salt only to some chocolate or caramel recipes. Hi Jerri, Cake flour is different from self rising flour. It's much finer and it contains some cornstarch in it. Looks amazing. Vanilla is my favorite. I love vanilla cakes & my little boy loves anything with colorful sprinkles. Looks gorgeous! Can't wait to try making it. Can I use all purpose flour instead of cake flour? I'm excited to try this for our Sunday school Christmas party! What is a jelly pan? Can I use any sheet pan? Can you use a regular cake mix ( Betty Crocker / Duncan Hines)? Can you also use white vanilla too? Btw the blog and site is great. What can i use to replace the batter bites? My mom and I just made this! Its delicious!!! But the second direction says 17" x 12" jelly pan. I think you need to change that to a cake pan?? We put it in the jelly pan and in the oven it went, then realized how are we gonna roll it up?yMy mom said its suppose to be in a cake pan!!! So we had to take it out and transfer it. Big mess! And it's definitely a 2 person job! Lol!!! I love to bake and try new recipes, but I've never made a roll cake. This one looks amazing! My husband saw it posted on Facebook and made a special request :) I've got everything together to make it tomorrow. Can't wait! Oh, and I found the batter bits at Michael's. When I made my pumpkin roll for thanksgiving it didn't want to roll and the cake broke so I basically had a pumpkin layer mess... what did I do wrong?? 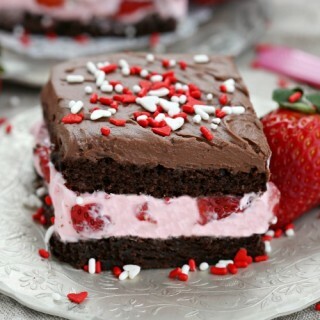 I don't want the same thing to happen when I try to make this one... it looks so yummy! Hello again! Well maybe you need to rephrase that as sheet pan. :) we are making it again for Christmas. That was our tester. And we will use a SHEET PAN! I am not exactly sure what you be considering to be a jelly pan, but usually a jelly pan is a sheet pan with sides about 1in to 1/2 in tall. Parchment paper lining the bottom miss the cake not stick, and flipping the pan over onto a towel as SOON as it's out of the oven is the best way to do this. Made MANY, MANY cake rolls around the holidays in my Culinary class' restaurant. Hi James, Yes, that's what I consider a jelly pan. A sheet pan about 1 inch deep. You're right, flipping and immediately rolling the cake is the key to a successful roll cake. 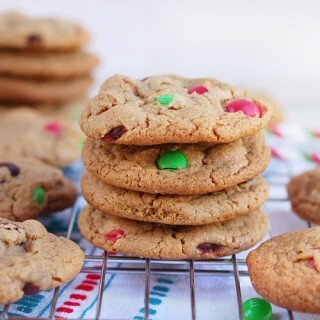 Just wondering about the batter bits - is it 1/4 cup each of the red and green or is it a total of 1/4 cup? Thanks! It says so many eggs then so many egg whites then it says more egg hooks at the end of the recipe do I need all those mentioned?? Michelle, The recipe calls for 2 whole eggs, 3 egg yolks and 2 egg whites. The whole eggs and the yolks are creamed till thickened while the egg whites are whisked so they incorporate air into the cake batter. So much goodness. Yum! Pinning. I made this cake roll over the weekend. It turned ot pretty, but thought the filling was too sweet and sugary. Think it would be better with a cream cheese whip cream type filling. Also the amount of white chocolate needed to cover the roll is wrong. It needs much more than the stated amount called for in this recipe. Beautiful cake for the holidays though. I have to agree. I made it for Christmas Eve dinner and although it was beautiful, it was way too sweet - even for my sweet-tooth hubby. I also had to use much more white chocolate then what was called for in the recipe. I don't think I'll make this again because of the sweetness factor but it was very pretty sitting on my serving tray. This recipe looks wonderful! I also made a Christmas Roll and would love for you to check it out! The link is http://lashesanddashes.wordpress.com/2013/12/15/peppermint-roll/ Thanks! Greetings from Chile! This is just perfect! I baked my first roll cake with this recipe this afternoon and it looks delicious! I changed a few things to make it brown and I didn't use batter bits cause we don't have in Chile but it turned out just fine. Thank you very much for charing this recipe :) Merry Christmas! 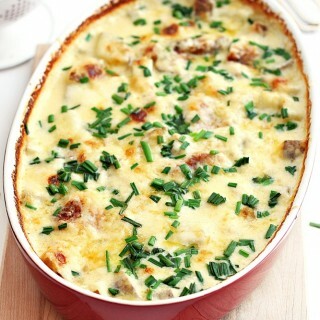 Making this tonight for Christmas! :) Thank you! I had to laugh, though. It says "Prep time: 15 minutes. Cook time: 7 minutes. TOTAL time: 3 hours??? lol Merry Christmas! Lol I was only teasing. I made it and it was out of this world, good! Although, I didn't realize I was out of both almond AND vanilla... geesh, lol. So, I used butter extract in place of those (but only 1/2 tsp) and WOW. Yum! Absolutely delicious! Thank you, again, for this recipe! Sure to be a favorite year round! Not exactly sure what I did wrong but I (finally) got around to making this roll cake tonight and it turned out terrible! The cake tasted like eggs, it was very firm and heavy. I also had an issue with the pan size. (I measured to make sure it was 17x12.) when I poured the batter in there was hardly enough to make a thin layer. I transferred it to a smaller pan (maybe that's where I went wrong?) at any rate, the cake didn't taste like cake at all, just sweetened eggs. The icing was absolutely delicious though!! Hi Michelle, So sorry to hear the cake didn't turn out as you hoped it would. The cake is made for a 17X12" pan and yes, the batter is a very thin layer, hardly covering the entire pan but while it bakes it puffs up during baking. It's definitely not firm and heavy since air has been incorporated into the batter when beating then eggs until thickened and when whipping the egg whites. Made this today using just green bits for St. Patrick's Day. Looks great. My family will love it this evening. I started to make it for Valentine's Day using all red, but I saved it for today because it is so hard to find pretty ideas for St. Patrick's Day. Thanks! 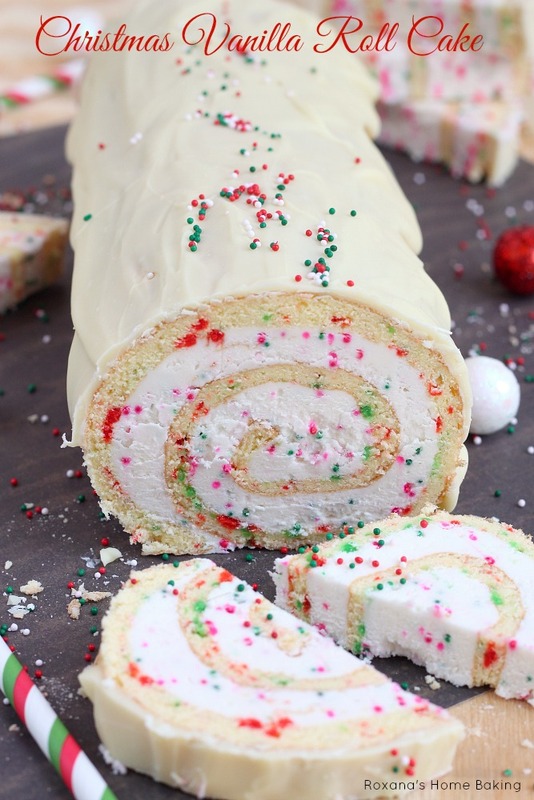 Ive never made a roll cake before, but this looks very festive and am going to try to make this one for our Christmas party. Just hoping it turns out as great as the picture. 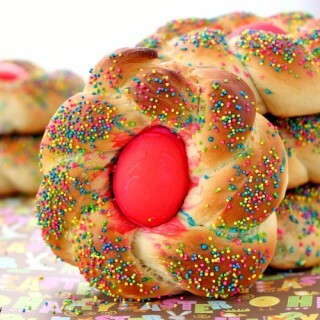 This looks super yummy and very festive. I'm not very good at making frostings or fillings though. Is there a way to modify the recipe to make it a cream cheese filling. That's my fav. Hi Cynthia, Yes, you can use your favorite cream cheese frosting instead of the buttercream. Hi Shannon, The secret is to work fast. You must roll the cake as soon as you take it out of the oven and leave it rolled with the towel until completely cooled. How do I get the recipe for white rolled cake?? I baked it at 450 for 7 minutes and my bottom burned. Should it be 350? Hi Sarah, I'm sorry to hear that. The cake is baked at a high temperature since it needs to rise very quickly. I don't know why yours burned after 7 minutes, maybe your oven temperature if higher than it reads. Do you have a how to video for the rolling of the cake? 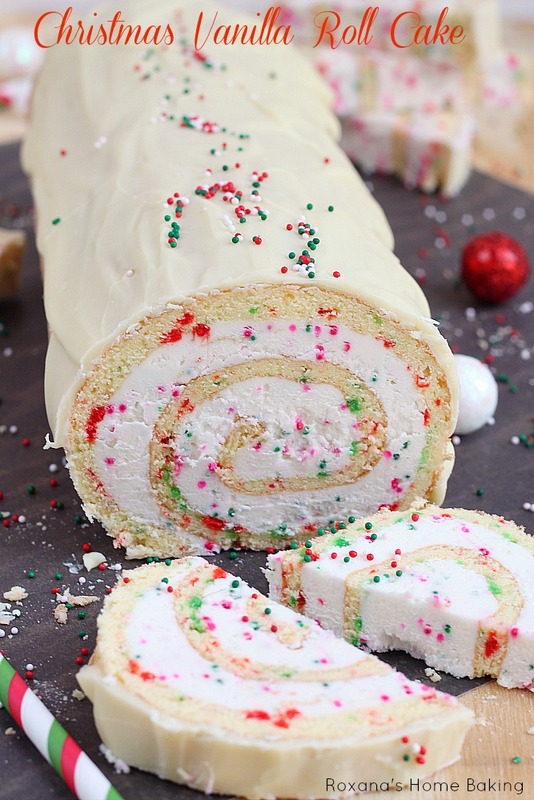 I've never made a rolled cake & would love to make this for Christmas! My apologies if this has been answered in the many comments, but do you think it would work to substitute peppermint extract for the vanilla? Would you be able to substitute peppermint extract for the vanilla? I never comment on recipes but I had to on this one. This is amazing! My oldest kids helped me make this last night and it was a lot of fun and turned out amazing. The cake so good and the icing is perfection. Thank you for the awesome recipe. We will be making this for our Christmas parties. I have been getting into baking in the past few years and I am always looking for something new to try. I saw this was posted on my facebook page, and I thought to myself, If I can make a 4D monster truck cake I should be able to make this. I got everything you listed for ingredients and made only one slight change. I used my butter cream recipe, and after making it and letting it sit for a little while my son and I both had a piece and let me tell you it was fabulous. Thank you for posting this wonderful recipe. I am looking at your facebook page and getting other ideas. Thank you again. This looks so good! I wish I could make it, but I am very allergic to cornstarch. Could I skip adding it? I can't get the roll part of the cake to come out any advice. Doesn't this video show rolling from the short side? Should we be rolling from the long side for this cake? Hi Sarah, I prefer rolling the cake from the long side, otherwise the cake will turn out too thick for my liking. I do not have a mixer with a paddle what can Iuse in place of it. I am Lmost afraid to try this as I am not much of a baker and do not have a bowl type mixer only a hand one. I want to take something to a friends place who has invited us for dinner on the 14th of Dec, Do you think I sould try it. Yum! Thanks for sharing. 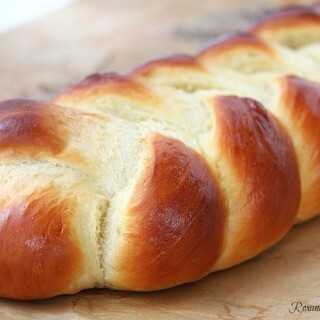 Looking forward to making my first roll cake for xmas. Love the gingerbread recipe. Can't wait to try it. I looked up the batter bits on the Wilton website and ALL of them have been discontinued! Hi Eileen, Other people have used red and green confetti and they didn't bleed out during baking. Can anyone tell me if this will freeze well? I'm traveling for Christmas and would love to bring some of these with me to family and friends. Hi Melissa, Yes, you can freeze the cake (wrap tightly in plastic), but make sure you don't decorate it prior to freezing. Pour the white chocolate coating and the sprinkles when it's back to room temperature. Hi Medine, There's no need to add any leavers. There will be plenty of air incorporated into the cake batter to help it rise without the help of baking powder/soda. I agree - it was REALLY sweet. For some reason there was a ton of the icing in comparison to the cake. My husband who has a huge sweet tooth and my son-in-law who is a vanilla lover was not a fan. While it was beautiful it is not something I would make again. Just made this! I was so nervous because I've never made a cake roll and it looks (to me) incredibly difficult, but it was super easy. The buttercream came out sweeter than I would have liked, but I'm sure everyone will LOVE it! I made this awesome Ginger bread roll cake , it was delicious. The texture was moist , tasty, and the filling to perfection " I add a bit more cinnamon " . Very easy to rolled. I will make it over and over again! :)) Well... I also made the Vanilla Christmas roll cake! It looked great!!! But ... It was like eating pure sugar! No taste at all . This cake is not refine when it comes to flavour! I will not make it again. If I were to add some real peppermint extract to the frosting, how much would you recommend? I thought a peppermint vanilla cake for the holidays would be delightful. Hi Katelin, Peppermint extract is very powerful, I suggest only a few drops. I tried making this and it was a disaster. There wasn't enough batter to fill the pan, the cake was thin and chewy. It didn't taste good at all. I really want this to turn out right. I followed the directions step by step so I can't figure out where I went wrong. Very disappointed in myself. This is only the second time I've tried a roll cake, both times were failures. What can I do to make this a success? They discontinued the batter bits :-( will try with Christmas sprinkles. LOVE the way yours looks and wad really looking forward to recreating that. Thanks for sharing ! Roxana, your roll cake skills are AMAZING! I've never tried one but you've really got me interested now! Well, my cake roll has been in the refrigerator for almost an hour now and I just realized that I didn't add the vanilla into the buttercream?. I guess there's no going back now. I hope it's still ok.
Just found your Web... and love it! Well done. It's fabulous. Great effort. Thank you . Just made this today as practice. I was looking for a vanilla cake roll recipe to use for my sons birthday. I'm going to be making a light saber cake and needed long and thin. I was a little worried at first because this does smell like an omelet while baking and i thought it would taste eggy. However, what it actually tastes like is spongy meringue, which makes sense since it's mostly egg and sugar. The cake itself is not overly sweet. The sweetness really comes from the icing. I omitted the wilton bits entirely, used store bought (with 3 kids under 5, i didn't want to spend time making the icing) funfetti frosting inside and used melted and poured pilsbury vanilla frosting over the top for a smooth shiny look. I also used A P flour instead of cake. Just weighed 30grams and double sifted with the corn starch called for. Worked just fine. Hi JJ, You're rolling the cake on the short size, that means it will be 12" long. I would say around 16 servings, depending how you slice it. Is there any kind of box cake mix that can be used for this recipe? Don't hate me people for asking, Lol! Thank You! To have success with this beautiful cake, make sure you beat your eggs until they are thick and pale yellow. Also, if unsure how to beat egg whites, give it a Google., sponge cakes will fail if you do not get the egg mixture correct. I use a floursack towel, which is pure cotton to cool cake. Just soak in cold water after and throw it in the washer. Merry Christmas, thanks for sharing this beauty!